Clean your gutters regularly to stop leaves and debris from causing any blockage. Prevent your gutters from flooding by making sure your gutters drain properly. Make sure your gutters are installed properly. Before the rainy season, inspect your gutters to see if it is properly installed. Install leaf guards on your gutters to prevent leaves and debris from causing gutter flooding. 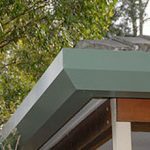 What type of gutter should I install to prevent gutter flooding? Take note that most conventional guttering has insufficient fall, which causes flooding. When there’s heavy rain, it often overflows because the water does not drain quickly enough. You should install a reliable guttering system with the right gutter slope. 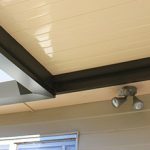 With the vast majority of conventional guttering, the back is lower than the front, which leads to the water flowing into the eaves and down the cavity of the wall. This is called gutter flooding, which can cause major damage to your home. Easy Fall Guttering knows how to best solve this problem. 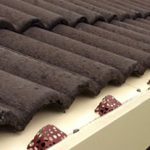 We offer our innovative range of products, which we can guarantee to solve any gutter flooding problem once and for all. The complete solution to all your guttering problems is the EASY FALL™ Guttering System. Consult our gutter experts on 1800 897 444 to find out how you can install a reliable roof gutter system. Guttering often overflows in heavy rain. Making for an excellent gutter water collection tool is the EASY FALL™ Leaf & Ember Guard. One of the biggest drawbacks of standard gutters is that the back of the gutter is lower than the front. This means that the water can, and often will, flood back into the eaves, roof timbers, wall cavities and even into the interior of the home. Whereas our EASY FALL™ Leaf & Ember Guard has been designed with profiles to suit various roof types, so that the back is always higher than the front. This means that the rainwater does not spill over into the eaves and roof—eliminating gutter flooding. It can also be fitted to all types of existing standard gutters, so whatever type you have installed in your home, it’s bound to fit. Featuring a shallow-dish effect, it allows for most leaves to be dried out and blown away by the action of the sun and wind, especially if there is good exposure to these elements. Depending on the aspect of your house and the vicinity of trees, the occasional removal of leaves with a leaf blower or hose may be required. In the heaviest of rainfall, rainwater is continually flushing through the PVC channel to the downpipes and drainage system, thus minimising the need for overall gutter maintenance. Should you have any questions about how our product stops gutter flooding in Sydney, you may call us on 1800 897 444. Enquire about our 25-year rust-free warranty and 7-year workmanship warranty! We solve problems others can't!